Feature Interview③: Follow the wave, the OCEANS Network! Heard about the ‘OCEANS Network’? If you are familiar with the work of the Erasmus Mundus Student and Alumni Association (EMA), you are more than halfway through in understanding the OCEANS Network. Valerio Callegaro, the newly elected Communications Coordinator at the organisation, is here to tell you more about the OCEANS Network and why we should care about it. 1) Hello, Valerio. Nice to see you here. Could you briefly introduce yourself and tell us a little about your background? Hi, there! I am glad to meet the readers of The Euroculturer. I am from Italy, and I hold a master’s degree in communication strategies from the University of Padua and a degree in classical piano from the State Conservatory of Rovigo. Abroad, I studied at the Universidad Rey Juan Carlos (Madrid) and the University of California, Berkeley (USA), before landing my current job in marketing and communication at an online learning company. 2) What is the OCEANS Network? Also, what does the name ‘OCEANS’ stand for? 3) How did you get involved in the OCEANS Network? Also, what made you become an active member of the network? In 2011, I was invited to the OCEANS Annual General Meeting in New York, and then I joined the magazine team as a proofreader. A year later, I was elected Magazine Coordinator, and a month ago I got elected as the new Communications Coordinator. The main reason I became an active member is because I would have the opportunity to meet very talented and nice people, such as the members of OCEANS and EMA. So far my experience has been very positive. 4) Tell us about partners of the OCEANS Network and how the cooperation between them has been. Our main partner is EMA, since both networks share a budget under the European Commission (30.000 euros, to be precise) for joint events between the networks. As an example, on September 22, both OCEANS and the EMA had a negotiation training in Brussels. The cooperation between OCEANS and EMA has always been good, and when in disagreement we work hard to find the best solution. Other active partners we have include UN agencies and, of course, the European Commission. 5) What kind of activities does the OCEANS Network provide for its members? And what are the similarities and differences between the OCEANS Network and EMA? Members benefit from OCEANS mostly from the events we organize. We try to provide both useful training in subjects that might be common to all the members’ backgrounds (such as soft skills) and socialization opportunities. Being a network, a big part of our mission is to create contacts between members in the hope they will bring good ideas to life. Also, starting this year we’ll have a Professional Development Coordinator who will make connections with companies and agencies looking for talented young people to hire. We hope to find good matches for all our members looking for a job. EMA and OCEANS are similar in their structure: they have a board elected by members that takes the decisions and organises the events. However, OCEANS is much smaller than EMA, since we have roughly more than 1,000 members, compared to the 9,000 of EMA. As I like to say, we are their little brother. 6) MA Euroculture is an Erasmus Mundus Master’s Programme. How can students of MA Euroculture be involved in the OCEANS Network? Even though to be part of the OCEANS network you have to have participated in one of the listed exchanges, contributions are open and always welcome, especially for the magazine. In fact, we always feature articles from external sources. We are also open to suggestions on how to improve the network and how to deliver value to our members and broader society. 7) As far as I understand, your work at the OCEANS Network is voluntary, and you are also a professional outside the organisation. How do you juggle between your work and responsibilities at OCEANS Network? Normally I work two to three hours per week for OCEANS, except for high-commitment periods such as right before an event or a deadline. In the evening I check the emails of the day, and give my contribution to the board discussion. I have to say that the service provider, ICUNet, frees us from the administrative and organizational burden, leaving us free to be creative and shape the network. 8) Tell us about your other passions. How do you combine those passions with the work you do in the OCEANS Network? One of my passions is spending time with smart people, and OCEANS fulfills it very well. Also, having studied and worked in communications, I’ll be able to both bring and gain further experience during this term as the Communications Coordinator. Last but not least, OCEANS has provided me with an excellent platform to improve my event planning and public speaking skills. I can definitely see how I grew thanks to OCEANS during the past year. 9) The OCEANS Network has its own magazine, The Wave. Briefly introduce some of the articles covered in the magazine so far so that we can get an idea of what it is about. Gladly, since the magazine has been my main responsibility over the past year. We have three main kinds of articles in the magazine: articles and news about the OCEANS Network, reports about our members’ experiences abroad with other cultures, and general articles in the fields of education, public policy and intercultural awareness. External contributors are welcome, so if someone has an idea, he or she is welcome to drop us a line. 10) Why should we care about the OCEANS Network in the first place? What is so special about the organisation? It is special because of the people who belong to it. OCEANS members have been selected through multiple stages in their academic career, so everyone you meet is smart and committed. And the reason you should care about the network is that it’s a pool of open minded and talented young people, and we love EMA too. 11) Lastly, where do you see yourself in the next five years? Will you still be an active member of the OCEANS Network? Or are you dreaming of embarking on another exciting adventure? In five years I see myself as an entrepreneur. I like the idea of inventing my own job and being more responsible for my success or my failure (even though, as we know, there are many external forces that influence outcomes). My ideal career path would be to create a strong company, manage it for 15 to 20 years, then hand it over to a CEO and start working full time to solve social problems, just like Bill Gates and others are doing. 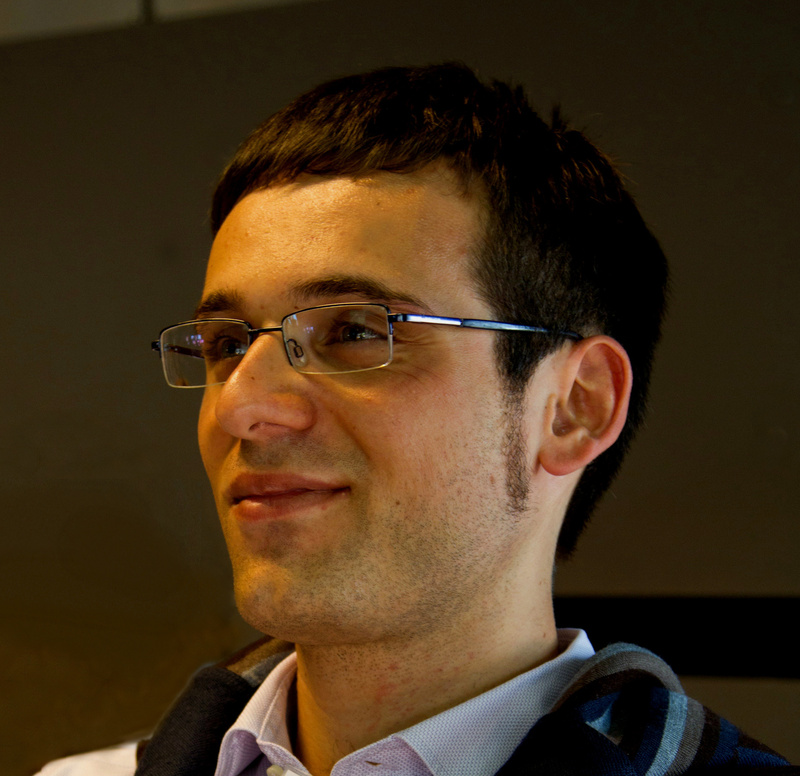 Thank you very much, Valerio, for introducing the OCEANS Network to our readers! We wish you all the best in everything you do, especially in your new job as Communications Coordinator, as well as the future adventures waiting for you. Interview by Eunjin Jeong, 2013-14 EMA Programme Representative of MA Euroculture.